Since 2012, Marnie has transitioned her creative talents, love of working with people and business acumen to a successful career in real estate. She was drawn to real estate because of her passion for assisting others. Marnie attributes much of her success to lessons learned as a waitress independently paying her way through college at The University of Texas at Austin. 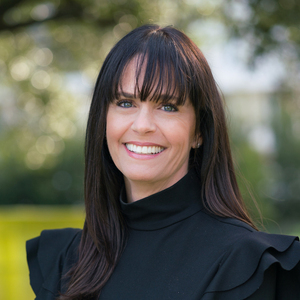 A native Houstonian, Marnie focuses her business on areas in which she's lived and knows well including the Memorial Villages, River Oaks, Spring Branch, Tanglewood and West University. Marnie has participated in some of the most significant sales in these markets and often utilizes her network to sell properties off the Multiple Listing Service, which include lots for builders and unique homes for discerning clientele. Marnie understands the stress and emotion often involved in a real estate transaction and ensures the smoothest possible process for her clients. Her vast repeat and referral business is a testament to the exemplary level of service and expertise she provides. Marnie enjoys assisting clients in all price ranges and often connects with her clients on a personal level. Outside of real estate, Marnie devotes her time to her four children and her non-profit Marnie Rocks Beading Cancer, which provides children receiving cancer treatment at Texas Children's Hospital with beading supplies as a creative outlet and entertainment option. Grand entry leads to the wood paneled study & formal dining room with glassed-in wine storage. Gourmet island kitchen, opens to breakfast area & family room. A wall of glass offers views of the backyard, veranda & summer kitchen. Master suite & secondary bedroom downstairs. Media room and 4 bedrooms upstairs, along with hobby & game rooms. 4 car garage, elevator & more. Great family floor plan with elegant finishes.